Have you recently discovered the high costs of boarding schools, military schools, therapeutic boarding schools, residential treatment centers, wilderness programs, and/or other avenues of academic and emotional growth assistance? For the average middle class family, the fees can be staggering. Even people of means may experience “sticker shock” at the tuition of these programs. Due to the extensive costs of operating specialty schools with the appropriate licenses, credentialed staff, and certified educational accreditation, it is extremely expensive. The average cost of private therapeutic boarding schools and programs is approximately $6,000 per month and are generally not all-inclusive. There is usually a separate processing fee which can range from $2,500-$3,500 and normally covers insurances, administrative costs, and other various charges. Some programs will include the uniform in that fee. Other programs will have an additional fee for uniforms. When choosing a program, be sure to ask specifically what is included and what extra fees to expect. If a private program is less than $3,000 per month, please be sure to do your research. Many programs offer a discount if tuition is paid up front. This is an individual decision which is dependent on your financial circumstances and family’s needs. Financing these programs can be available to you in a variety of ways. The Educational Loan is one that is typically used by many families. When you speak with a school or program, ask them for their approved lenders. Since 2008 the availability of lenders for residential treatment has become limited which is why each school has had to qualify with lenders to be able to provide you with options. If a child has a college fund, it may be a good time to use it. Although we expect our children to go to college, getting your teen the help he needs to ensure he makes it to college is what you are concerned with at this time. When the time comes where he/she is ready for that step and you have exhausted your college fund, there are always grants and scholarships for which to apply. Does your child have an Individual Educational Plan (IEP) through your local school district? In some cases, this may defer some of your tuition costs in respect to the academic component of a boarding school or program. If you have an IEP in place for your child, it is important to ask the school or program you are considering if they work with IEPs and discuss the reimbursement process. For more information on IEPs, click here. Another alternative to financing a program is a Home Equity Credit Line. This can be beneficial to you in a few ways. Not only is a convenient way to access money that is needed, it can also be a tax deduction in regards to the interest payments. Please keep in mind, sometimes the program you are sending your child to can also be a tax deduction in regards to medical expenses. The therapeutic and medical portions of the tuition can usually be deducted. Check with your tax preparer or accountant for more information. Credit cards, though carrying a potentially high interest rate, may be able to provide you with the initial monies to enroll your child until you are able to access an educational loan, credit line, or other means of payment. Many parents will use a credit card which accumulates airline miles or other beneficial services and pay it off within the 28-30 days with their credit line or other financial means. This prevents you from incurring finance charges. It can also be a way to earn airline travel to use when it comes time to visit your child if they are out of state. Contact your medical insurance provider to see if they cover residential placement. Some will cover the first 30 days or possibly the therapeutic portion of your child’s stay (generally one third of the tuition). PPO’s are typically more likely to cover some costs, however it never hurts to check with your insurance company. In searching for programs, you may want to ask the program if they accept your insurance or have experience with how much you could expect from your specific insurance company. Having them process a verification of benefits (VOB) prior you enrolling your child or signing any contacts can be helpful in giving you a better idea of what your insurance will cover. Not all programs will do this, but a majority of them will. Many families will borrow from relatives or, in some cases, employers have been known to contribute to the family. 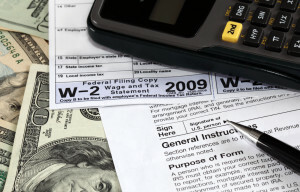 There is a chance that this could also be a tax deduction for individuals or companies. Don’t be afraid to ask the program if they offer scholarships; some do have limited financial aid, so it is important to ask. P.U.R.E. does not offer any scholarships or financial aid. If you are searching for free programs or programs that accept Medicaid, please contact your Medicaid provider or your local United Way.